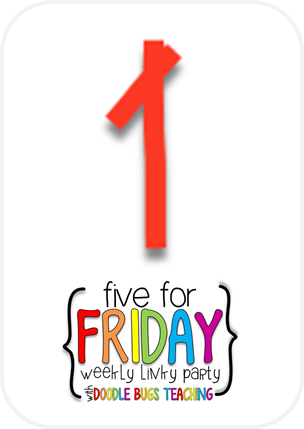 Five For Friday, and a Winner! 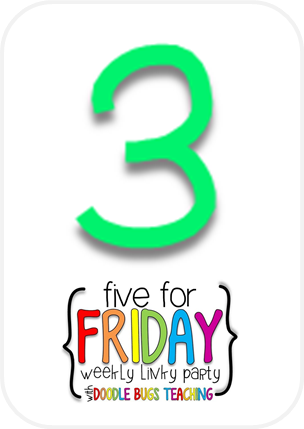 Today, I'm linking up with Doodlebugs for Five for Friday! 1. 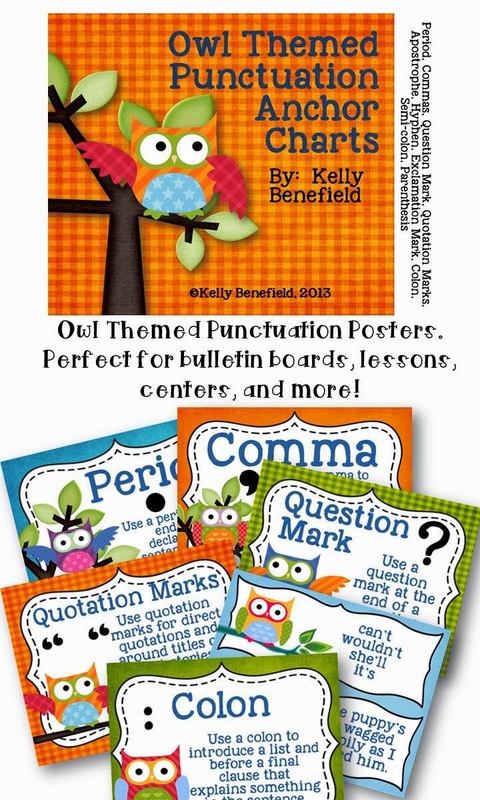 Thank you for all of your wonderful comments left about the "Owl Friends Context Clues Cards!" 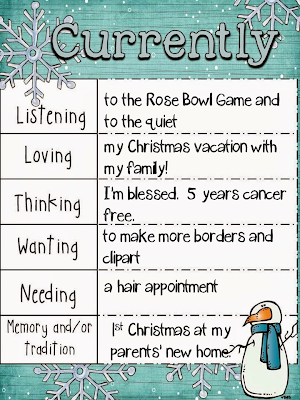 We used these cards this week, and my students were amazing! They listened and followed instructions perfectly! 2. I thought I'd share how I play "Scoot" with these cards. I have actually played a couple of different ways. To save copies, I simply had them to number their papers 1-20. (I have 20 students in my class, so I chose to only use 20 of the cards). 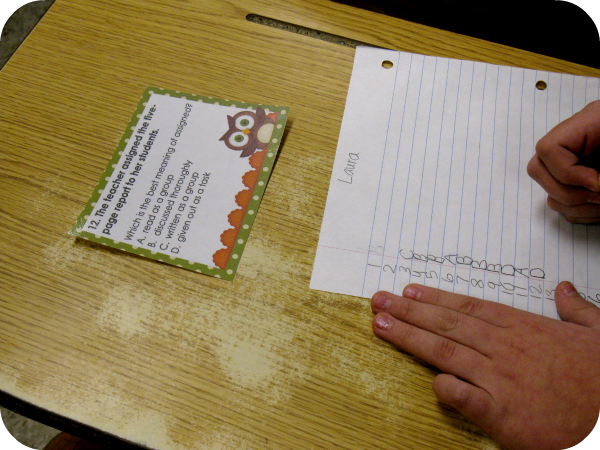 I explained that they would read the card and write the correct answer on their papers. I reminded the students to look at the number on the card and write the answer next to the appropriate number on the paper. I also told them when it was time to move, only take the paper an pencil with them. Leave the card. I showed each group the direction to travel when I said it was time. I explained that when each person reached the last desk, he/she would have to come back around to the first desk. I also asked them to turn and face the front of the room when they were finished writing the answer. When most students were facing the front, I simply counted, "Three, two, one, move!" The students moved to the next desk and began working. 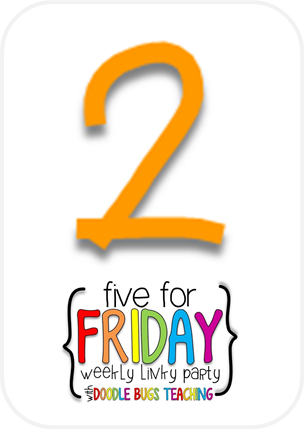 When most students were facing the front, I began the countdown again. We continued this around the room until everyone had completed all cards. 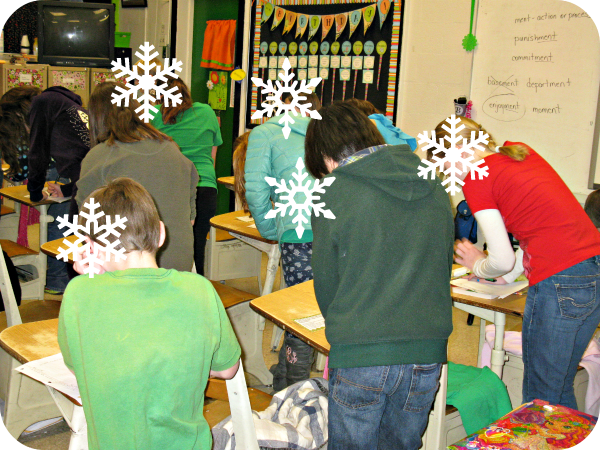 My students listened so well to instructions, and you could have heard a pin drop with both classes while they worked! I have an exceptionally great group of kids this year. I have played this before by simply passing the cards around the room. It worked the same way, except the students stayed seated in their desks, and I explained to each group the direction to pass their cards. When I counted, "Three, two, one, pass," the students simply passed the cards. This worked well with my extremely talkative class last year. Amanda from This Mom's Happy Life! 4. I wanted to share something else that the students completed: shutter books. 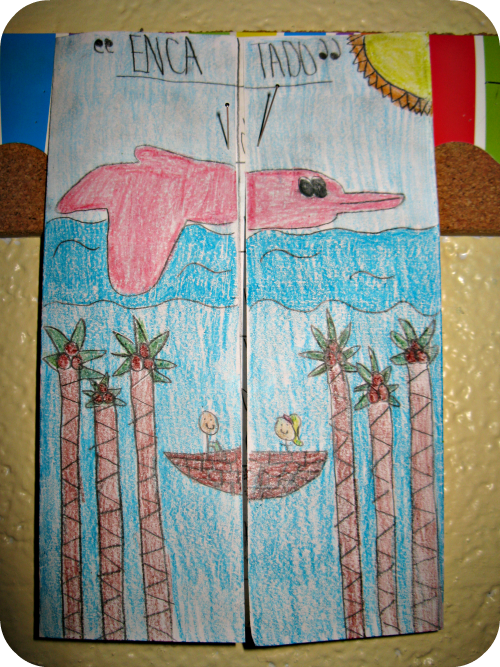 We read an article about pink dolphins, and the students competed these awesome shutter books. 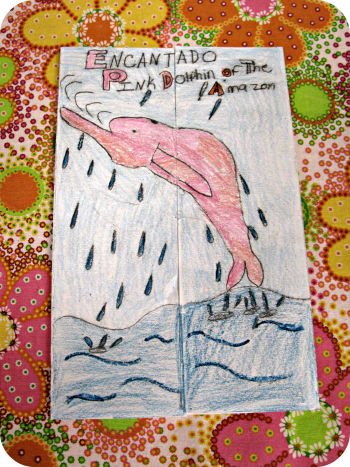 Two of these flipbooks actually came from my teaching buddy's class. She has some extremely talented students. I thought they were beautiful! 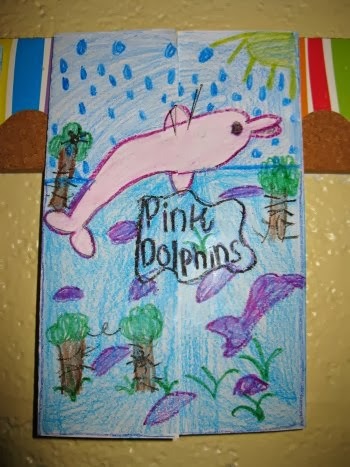 On the inside, my students wrote about interesting facts they learned about pink dolphins, listed unusual facts about these dolphins, and found and wrote about cause and effect situations that they read about in the article. 5. We have not had any snow where I live, but we have definitely had some very cold weather! 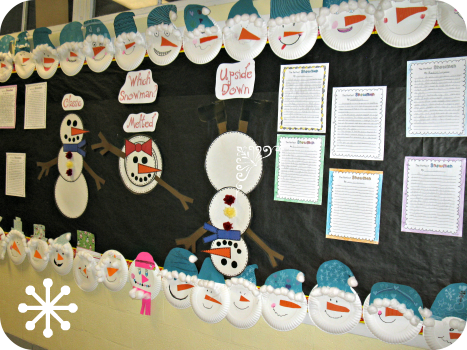 To usher in this cold weather, my students created these adorable snowmen that surround this bulletin board. They were inspired by this pin. 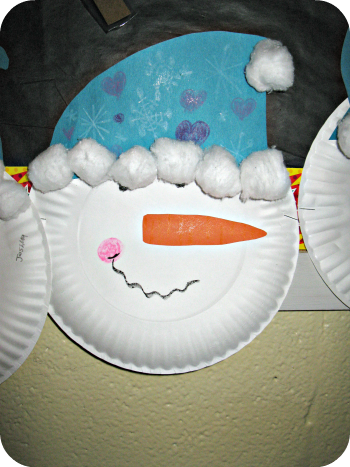 The students then wrote an opinion paper about The Perfect Snowman. The opinion writing idea actually came from a unit that I purchased from Hope King. 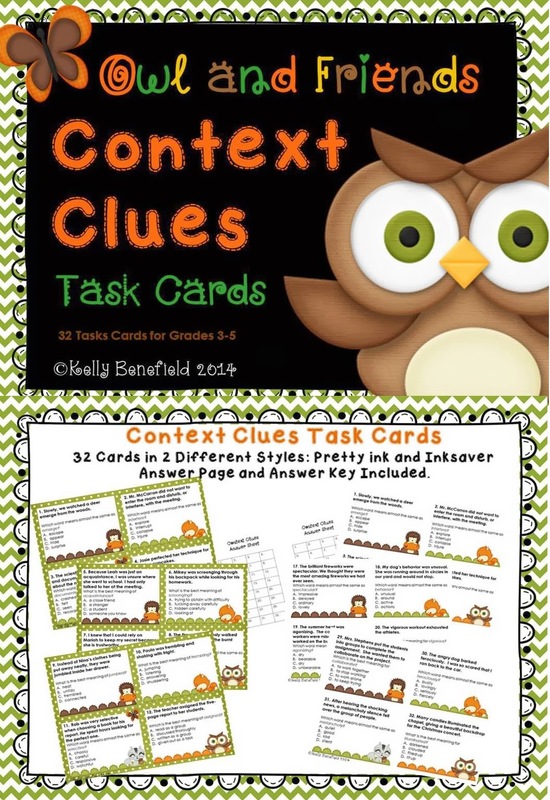 Context Clues Task Cards to Win!!! Our school system has adopted a new reading series this year, and one area that has been a weakness for my students has been context clues. 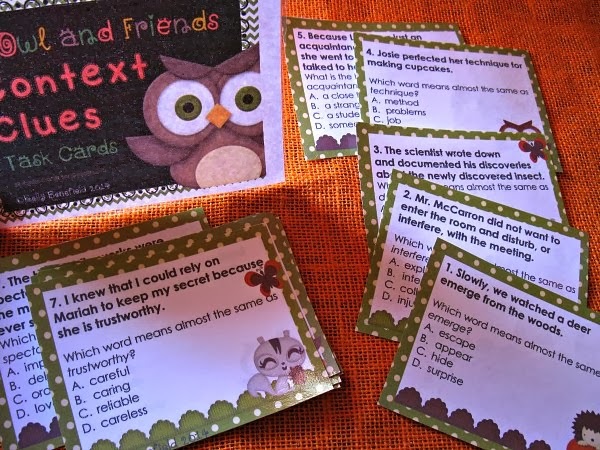 We cannot seem to have too much practice with this skill, so I created Owl and Friends Context Clues Task Cards. The great thing about task cards is that they can be used individually, in small groups, for intervention, in pairs, or as a whole group scoot game. So many possibilities. If you would like a chance to win a copy of these task cards, simply leave a comment below along with your email address, and I will randomly pick a winner later this week! Even if you don't win, they are for sale at my TpT store! Thanks for commenting! Contest is now over! Thanks for participating. 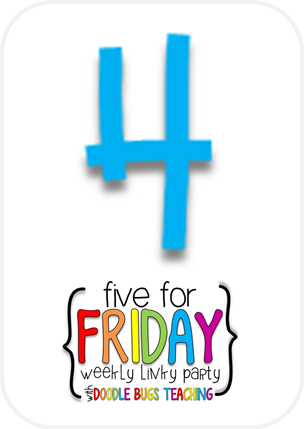 5 For Friday after a Cold Week! Do you find that after being out on a Monday, your week seems so loooong? School was cancelled on Monday because of the possibility of snow accumulations, icy roads, and because of frigid temperatures. We did not have snow or freezing rain, but the cold found us! With highs only in the single digits and teens, we also delayed school two hours on Tuesday and Wednesday, so my school days were spent trying to consolidate lessons. Even though we had a crazy schedule, I think we had a wonderful week! 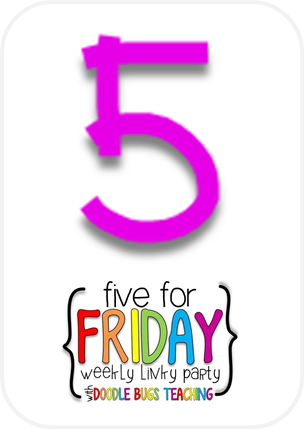 I am linking up tonight to share Five for Friday. I love going in to work at 10:00! I think it would be great to go in everyday at 10:00. I want to share my winter themed packets with you. 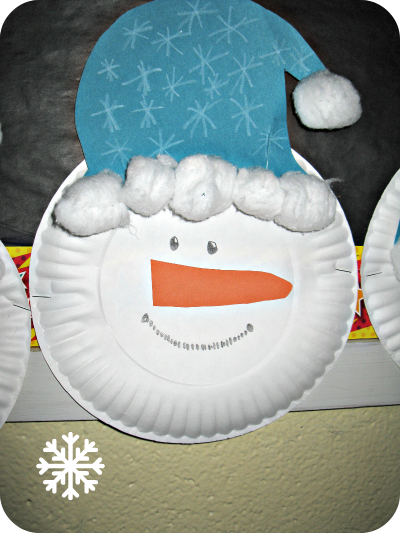 My newest creation is my Winter Themed Graphic Organizer Set. 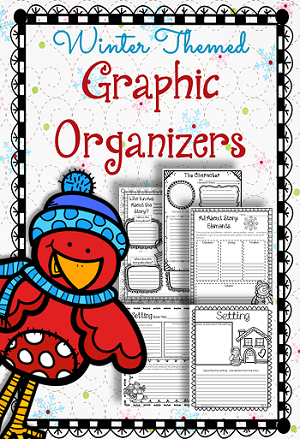 It is filled with cute graphic organizers perfect to use with those winter themed books, or just for fun during winter months. 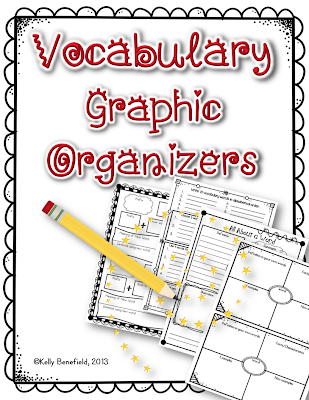 These graphic organizers are also part of my new Mega Bundle. Purchase this bundle and save $$$! It is filled with graphic organizers for each season. Winter, Christmas, Halloween, and Thanksgiving packets are currently part of this packet. Other seasons/holidays will be gradually added. Also, purchase now, and you'll receive all future packets for free! Each time new packets are added, the price will increase, so purchase now to save the most money. 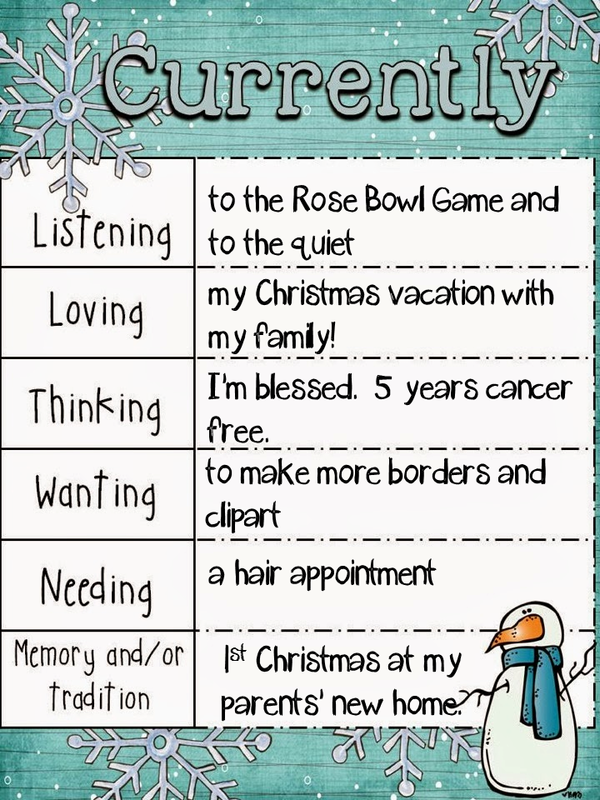 Another winter themed packet that I have available in my store is perfect to meet CCSS ELA Language 4.1b Form and use the progressive (e.g., I was walking; I am walking; I will be walking) verb tenses. This packet contains Powerpoints and printables. Everything that you need to cover this skill is here. Finally, just for you! 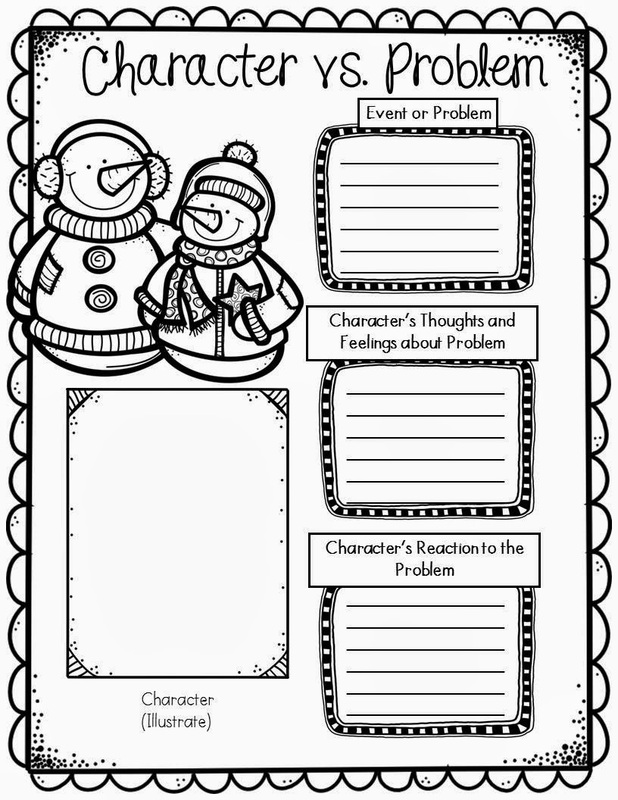 Here is a free winter themed graphic organizer! I hope you enjoy this cutie! By the way, the borders are from my new border set! Listening to the Rose Bowl Game and listening to the quiet may seem contradictory, but my girls are spending the day at my mother's. It is so quiet, and I am missing them. I love Christmas vacation. Since my husband is a teacher, too, I love the family time that we have. We have not done anything big or exciting, but I just love the time that we have together. 5 years cancer free... So blessed! I can't believe it has been 5 years. I just had my last checkup, and everything was clear. I thank God for His healing hand. I give the glory to Him. 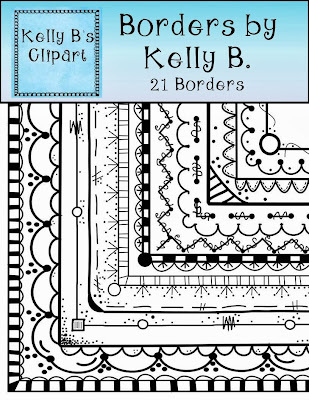 I have become a little obsessed with making borders. I have just started figuring out the challenges of programs and creating, but I am thrilled with my first attempts! 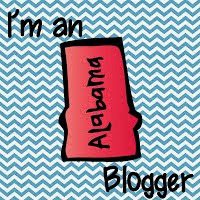 I'd love for you to check these out at my TpT store! (Check them out below.) Also, I have listed a couple of my other new creations as well. We spent a special Christmas Day at my parents' new home. It was filled with wonderful memories. Well, the quiet time is over. My girls just called and are ready to come home. I hope you have a blessed New Year's Day!